Ecole Militaire d'Infanterie de Cherchell, Algérie, Sept 1960. EOR (Eleves Officiers de Reserves) The futur infantery officers during their long training walks. Sunday morning in Faisant farm. 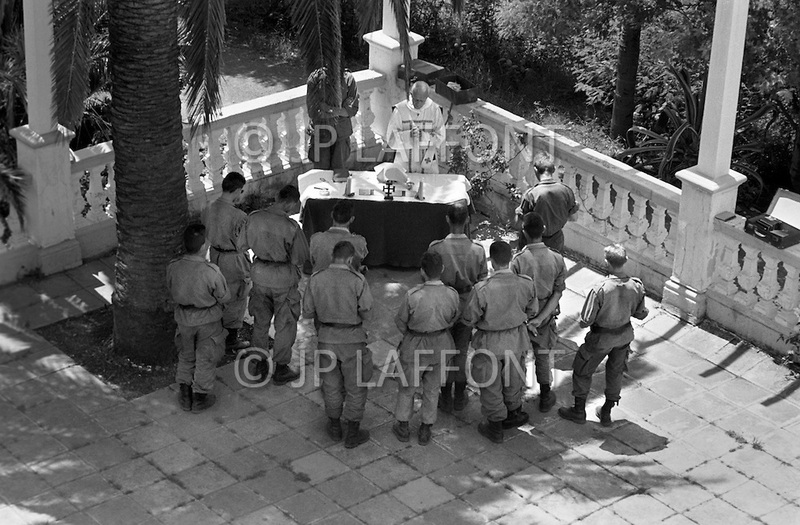 The catholic religious service is held outside in the garden.